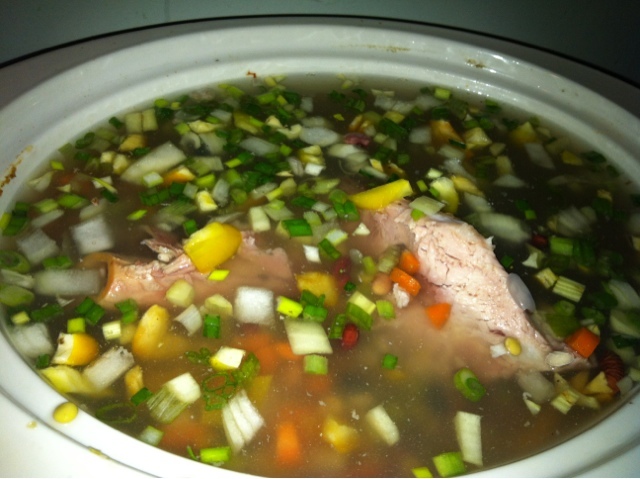 After Christmas, I had the ham bone with meat on it and wanted to use it to make a Crock Pot from scratch recipe. Something good and hearty, so I made the Ham and Multi Bean Soup with Spinach.Multi Bean since I purchased the bag of 15 different variety beans from Safeway. Large and small, this bag has lots of hearty beans. I do not use the packet of “ham flavor”, it has MSG and my ham has “ham flavor”. Note: I bought the bag and didn’t notice the 24 hour soak, so I soaked them for 4 hours and slow cooked for 12. They absorbed the water quickly, so They came out perfect, so I can’t imagine that they really needed 24 hours. Put everything into the crockpot, making sure that you cover everything with a least an inch of water. Then cover and set low for at least 10 hours. I did this overnight. In the morning, the soup broke down and boiled slowly. 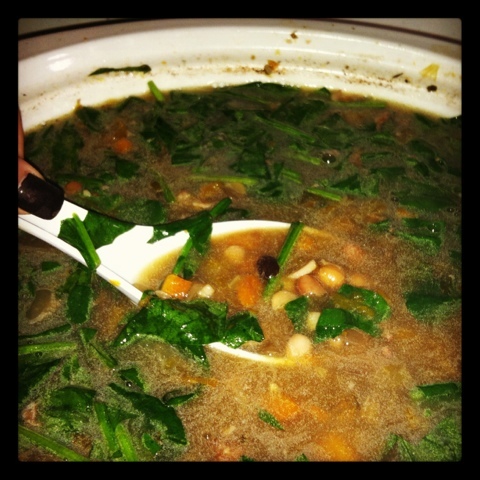 About 30 minutes before I was ready to turn it off, I put in the spinach and submersed them in the soup. 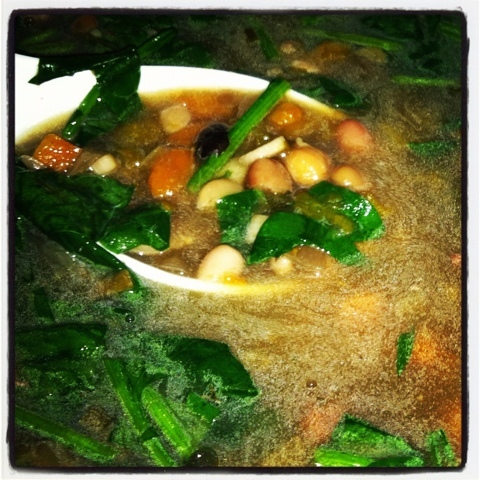 Once it was done I added salt and pepper, it was so simple that it absorbed the flavors of the meat, veggies and beans.